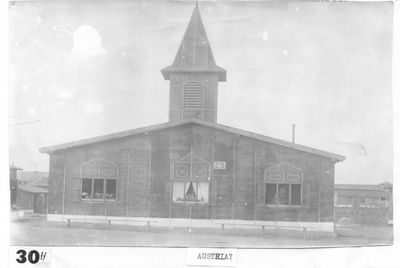 Prisoners of war constructed this church in an unidentified Austrian prison camp. Note the fine wood-work on the side of the building, the steeple, and the flower boxes under the windows. Churches provided POW's with spiritual relief during their captivity.